UK’s Serco Group Plc (Serco), engaged in BPO operations, has acquired another international service provider, Vertex Public Sector Limited for £55.5 million (Rs 386 crore). Both Serco and Vertex are based in UK, but have significant presence in India and the US, imparting synergy to Serco’s operations. Vertex is a significant player in the UK’s government sector, covering both local and central government. Its key customers are the Westminster and Thurrock Councils in the local government and Child Maintenance and Enforcement Commission (CMEC) and Job Centre Plus in the central government. As on March 31, Vertex’s topline was £110 million (Rs 952 crore), while its adjusted operating profit was £8 million (Rs 55.7 crore), according to a statement. The acquisition will significantly expand Serco’s coverage of government sector from its current presence in five counties. Nearly 40 per cent of Serco’s revenue comes from the public sector. Serco provides multi-channel contact centres, shared transactional services and ICT services, with a strong footing in areas such as HR and payroll, revenues and benefits, complex case management and administration services. Vertex’s Public sector arm has an employee strength of 3,000, while it services approximately 4.5 million citizen interactions per annum. The deal would also provide a boost to Serco’s Global Services Division created in April 2012. The division is one of Serco’s four businesses that has amalgamated a number of BPO related operations and capabilities, including its recent acquisitions of Intelenet, The Listening Company and Excelior. Christopher Hyman, Chief Executive of Serco Group Plc, said, "This acquisition enhances the range of services we offer to the UK public sector as they seek to reduce costs whilst continuously improving outcomes for citizens." Serco is also aiming to tap Vertex’s significant presence in private sector. Serco had acquired UK-based outsourcing company The Listening Company, Indian BPO provider Intelenet and Australian contact centre service provider Excelior last year. Serco’s total cumulative annual contract value is roughly about $180 million per annum (Rs 10 billion), with contracts having a time span of 4-10 years. Vertex Group provides services in the area of customer management outsourcing, IT applications and services, consulting etc. operates in more than 70 locations across the globe, with a client base of more than 200. 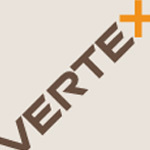 In India, Vertex, with a presence in Bangalore, Chennai, Hyderabad, Noida and Kolkata, plans to open four more centres and hire 8,000 people by 2013.